The Nuclear Regulatory Commission will delay giving Seabrook Station permission to stay open until 2050, after facing pressure from lawmakers to take more public input. Members of Congress raised concerns after the NRC said it would approve extending Seabrook's license this month – before an adjudicative hearing with a local watchdog group, the C-10 Foundation, this summer. That hearing will focus on cracks in the plant's concrete foundations. It could lead to changes in Seabrook owner NextEra’s plans to manage the problem. "We're not trying to shut the plant down," says C-10 board member Chris Nord in a statement. “Their methods deserve public scrutiny." “Even if the license amendment can be changed retroactively following the hearing, it is unacceptable that the NRC plans to approve the license … before the community publicly shares its concerns,” the Massachusetts delegation wrote in their letter. “We urge you to reconsider this timeline and appropriately weigh the issues raised by stakeholders at the upcoming public meeting. In its response, the NRC does not commit to delaying approval of the license until after the C-10 hearing takes place. Instead, an NRC spokesman says agency staff will meet with the public separately before moving forward on the new license. That meeting has not been scheduled. Seabrook will be one of two nuclear plants in New England after Pilgrim Station closes this year. Seabrook Nuclear Power Plant is expected to get approval to continue operating through 2050 by the end of this month, after regulators finished determining the facility is safe to remain open. Activists concerned about the facility’s safety say the decision is premature – but officials say those activists could still prompt changes in Seabrook’s license through a hearing this summer. An independent group of scientists says they believe the concrete cracks at Seabrook Nuclear Power Plant are under control. The report from the Advisory Committee on Reactor Safeguards agrees with earlier findings from the Nuclear Regulatory Commission. The groups conclude that Seabrook's owner, NextEra, has a sufficient plan in place to monitor changes in and effects from the cracks over time. A new report suggests New Hampshire's Seabrook Nuclear Power Plant will be essential to curbing the effects of climate change in the coming years. 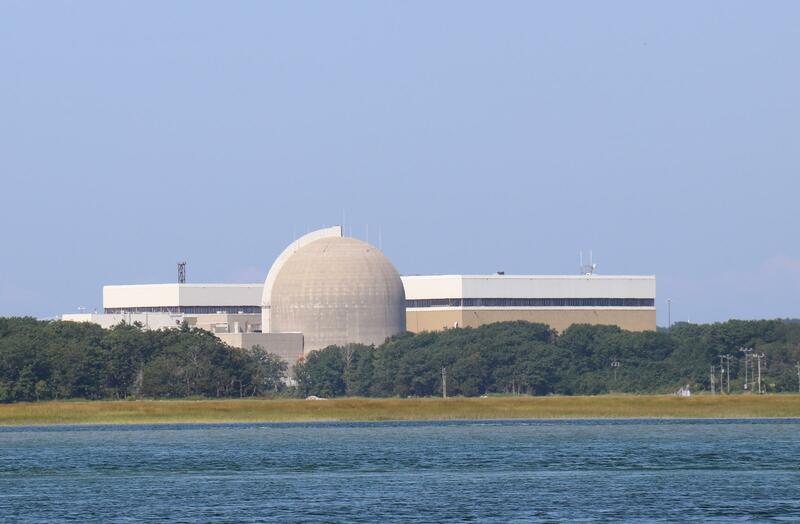 Seabrook and Millstone Station in Connecticut will be the only two nuclear plants left in New England after next year. They're also some of the most profitable nuclear plants in the country, according to the Union of Concerned Scientists. The Nuclear Regulatory Commission says they found no problems with the response to cracks in concrete at Seabrook Nuclear Power Plant during a recent inspection. Their new report is another step forward in the power plant's bid to get its license renewed.